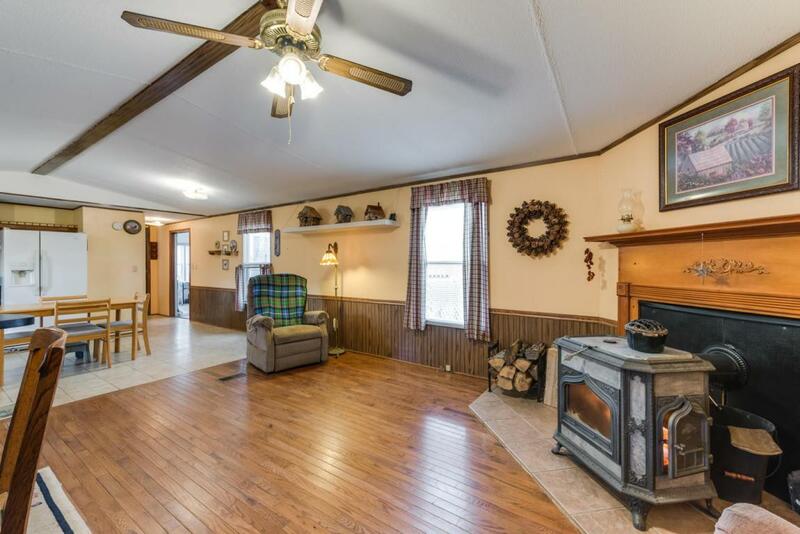 This peaceful 3 BR\2 BA home seated on nearly 6 acres has 3 large gathering spaces and a large 40x30 shop. 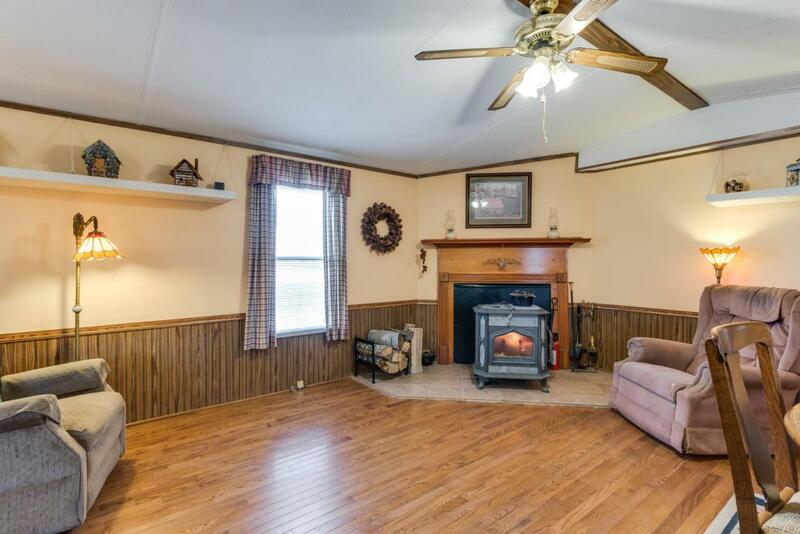 Inside the home is an open concept floorplan with real hardwoods and a fireplace in the living room. This overlooks the kitchen with a space for a formal dining table and a breakfast nook. 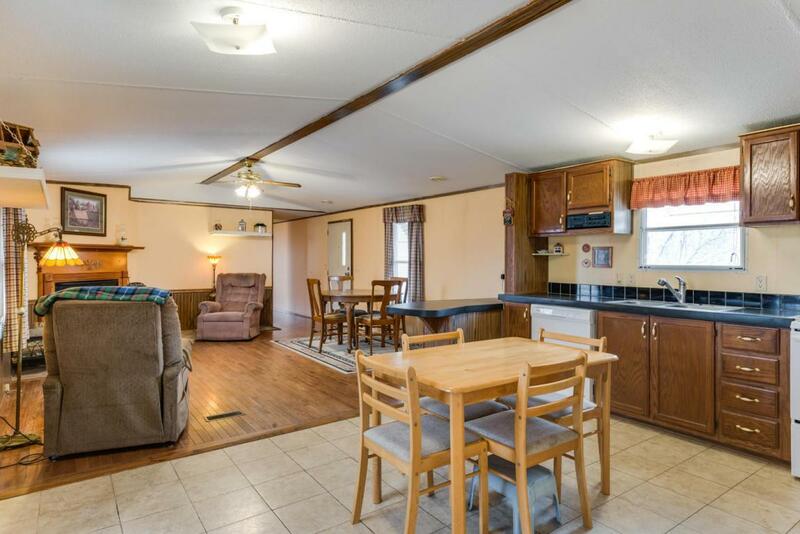 The large 16x18 sunroom is full of windows and natural light overlooking the beautiful rolling hills. 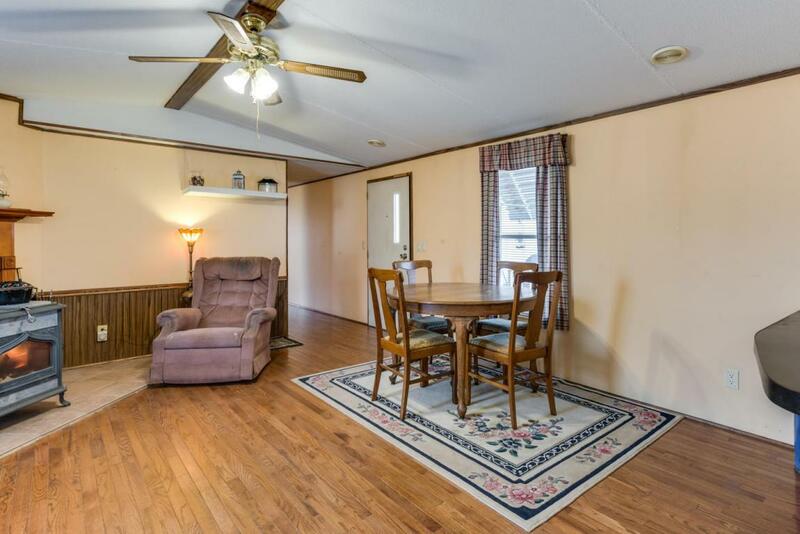 The opposite side of the home from the master suite is a large office area and a large, separate bedroom that's the perfect secluded space for guests or in-laws. Beneath this is a large 24x12 storage room with a hidden stairway for use as a storm shelter or safe room. This bedroom is situated next to a large den. Also included is a 400' well (and public water).The home also has a laundry closet, a detached carport currently used to store firewood, and a wheelchair ramp leading to the front door, making this home handicap accessible. Property also includes fencing for livestock. This secluded home is surrounded by rolling hills and woods.